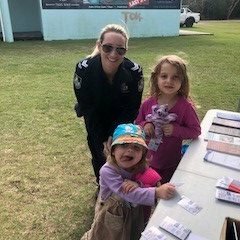 On Tuesday, July 10, Coolum Police visited the Mudjimba community and spoke with residents and visitors about the importance of locking up their property and reminded the public “Lock it or Lose It”. 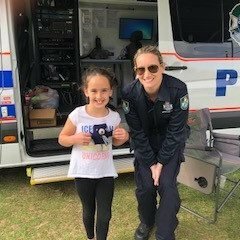 Officer in Charge of Coolum Police Senior Sergeant Hardy Wirth said despite our best efforts through media and our local blogs people are still leaving their premises and cars unlocked. “This makes them easy targets for thieves. We want everyone to enjoy the holidays and not have to spend their time reporting break ins or property loss,” he said. “Criminals do not take holidays and we will be out in the community giving advice to members of the public, how to best protect yourselves and your property. 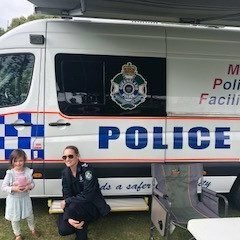 Police want to remind the public that thieves often target caravan parks and holiday homes, this means it is so important to not to leave valuables in cars, caravans, annexes or outside the property. This includes bicycles, skate boards, surfboards, eskies, fishing rods, cameras, mobile phones and computers. Volunteers and police were on hand to talk to residents about a range of issues and had information available for them to take away with them for future reference. We also handed out Teddy Bears to the young visitors which were a huge success and swiped up by the first ones to visit. They were so popular we ran out! 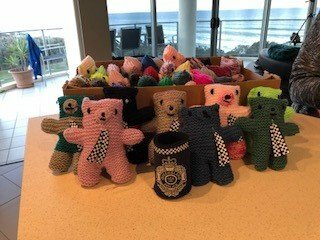 We would like to offer our thanks to Mudjimba Caravan Park for posting notices about the event, Mudjimba SLSC for allowing us to use their venue and a huge thanks to local resident Sue Hinkley who donated all the teddy bears.